It's an old Italieri kit, build out-of-the-box. Only the decals had to be replaced as the original ones were not usable at all. It's not really a what-if, but at least the markings are those of a bomber used in Russia in 1942 - when the Ju 86 was not operating as a bomber anymore. The other plane in the back is an old Frog Do-17 kit. 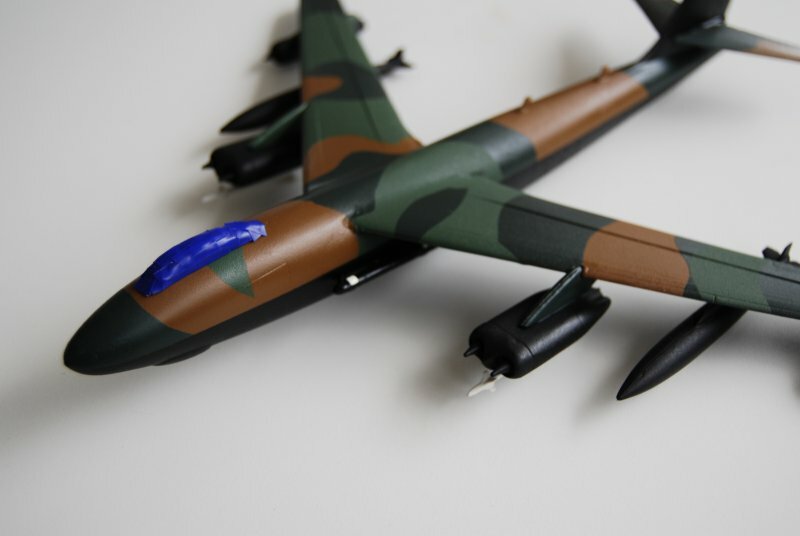 The B-47 APB is now getting its glossy finish before the decals are added. The laser & sensor pods are done now, so it should be completed soon. With those AAMs mounted under the inboard engine pairs, where are you going to put the balancer wheels? 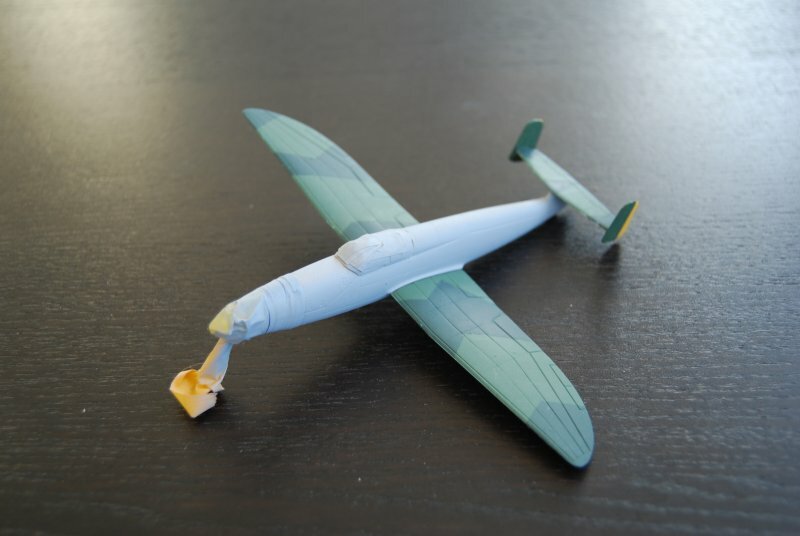 Perhaps fold them flat into the wing undersufaces, where there's space? That's what Boeing did with the later B-52. A Heinkel He280 jet fighter, in a hypothetical Luftwaffe Jagdstaffel in late 1940, early 1941. The He 280 was the first jet fighter build in Gemrany, flown under jet power about one year before the Me 262. 9 prototypes were build, none of them used operational. Old Fart with too much time on his hands! The He-280 is an excellent subject! I liken it to our (US) later P-59 Aircomet---a competent but not outstanding aircraft. 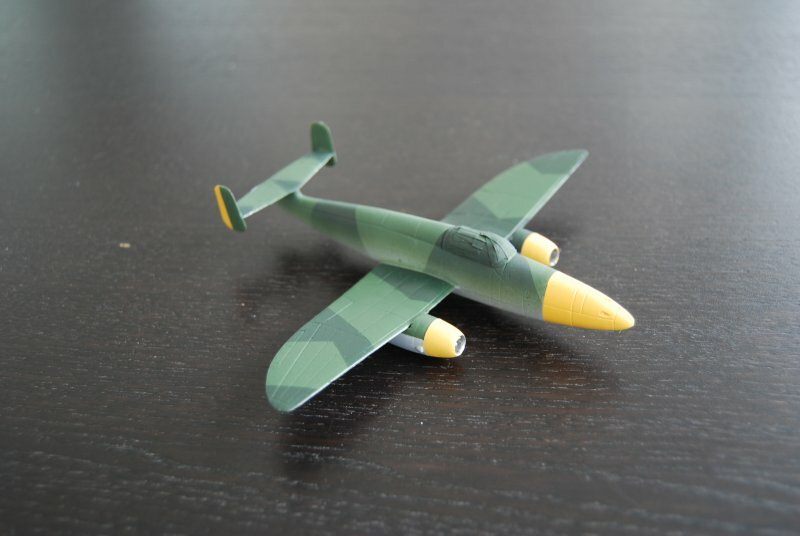 A "starter" jet fighter. Maybe instead of He-100's as a "propaganda fighter" to fool Allied intelligence....! 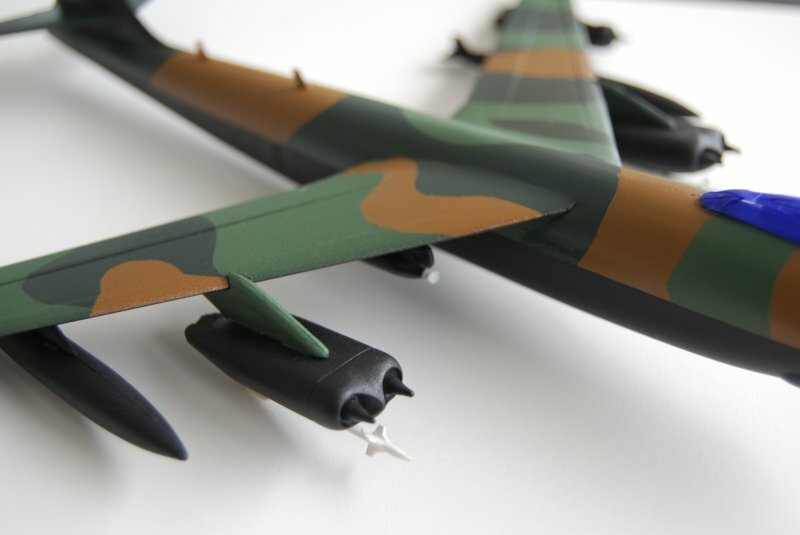 I had no idea there was an injection-mold He-280 on the market. 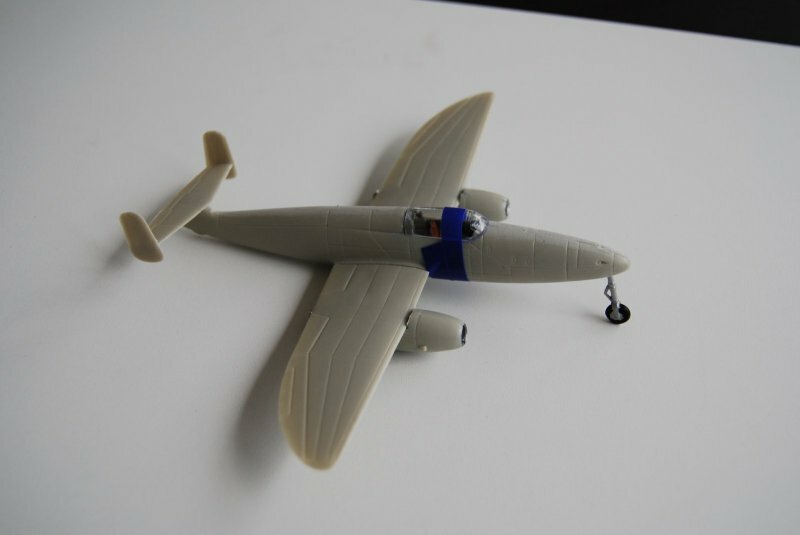 I made a He-280 whif long ago from an old resin job, and "lightened" the rear fuselage and tail by using a Vac-form version. I'll share photos of that later, once you are done with yours. My mind is like a compost heap: both "fertile" and "rotten"! I had no idea there was an injection-mold He-280 on the market. There probably isn't now, as Huma went bust a few years ago AFAIK. 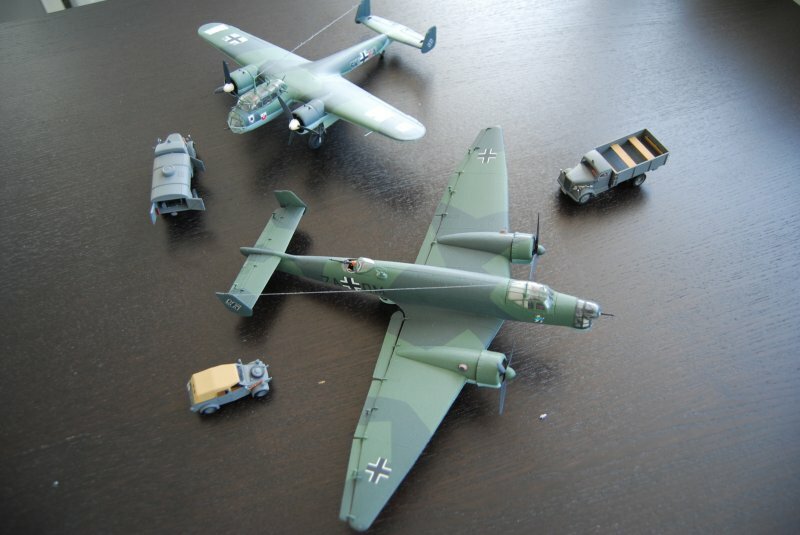 They made some pretty good stuff, mostly German models obviously, and they went together well. I hope someone bought the moulds and will eventually re-pop them. 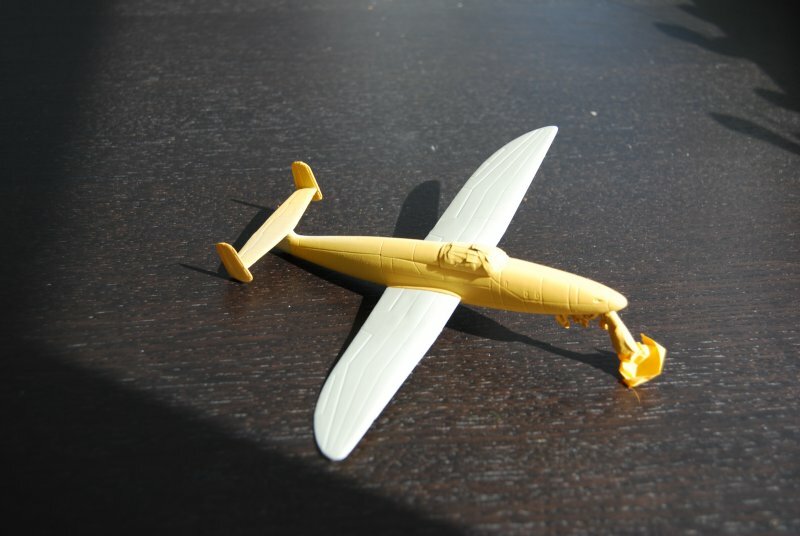 It's the first Huma model I build, the quality is ok so far. 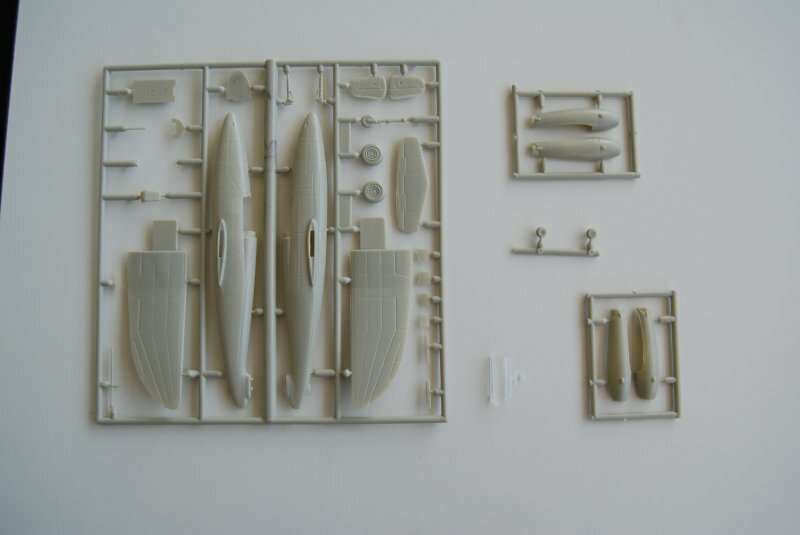 Huma had made several intersting exprimental aircraft and prototypes like the Ju 287, Messerschmitt P1011 the FA 223 and others, but sometimes they are a bit difficult to find. A little progress o the He 280. Camo looks better on it than the prototype-gray it had in real life. 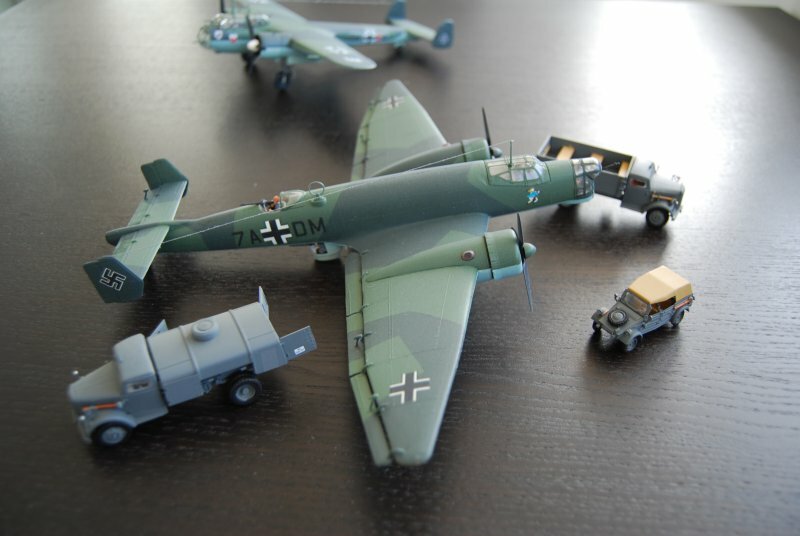 Most of the camo painting is done now, and after some little problems, the new airbrush worked ok.
That He-280 is looking good! Keep going!